Last week, Professor Stanko Tomic, Chair in Photonics at the University of Salford, was elected a Chair of the IoP Semiconductor Physics Group. Semiconductor physics is one of the major areas of condensed matter science and forms the core of modern solid-state device technology. The Institute of Physics‘ Semiconductor Physics Group was formed in 1982 in response to the need for a common forum for industrial and university researchers concerned with the physics, preparation and application of semiconducting materials and device structures. The group has a large membership with a broad range of backgrounds, often extending beyond physics to electronics, chemistry, and materials science. Scientists have opened a door to faster, cheaper telecommunications after proving a new link between silicon chips and ‘rare-earth’ metals used in internet signalling. 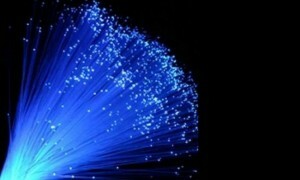 Silicon is the ‘gold standard’ semiconductor at the heart of the computer industry but lacks the ability to produce, detect and amplify the light signals that are sent down optical fibre. For the amplification of these light signals, we rely on rare-earth elements, which were thought to not interact optically with silicon. However physicists at Salford and the University of Surrey have made a novel discovery by showing for the first time, that light can be generated by an electron ‘jumping’ directly between silicon and rare-earths. “The electronic data in silicon chips needs to be converted into light to send down optical fibre, then back to electronic data, by separate devices. If the conversion between electronic and light signals can happen on a silicon chip, it would streamline the way data travels around the world,” explains Dr Mark Hughes, lecturer in physics at Salford.